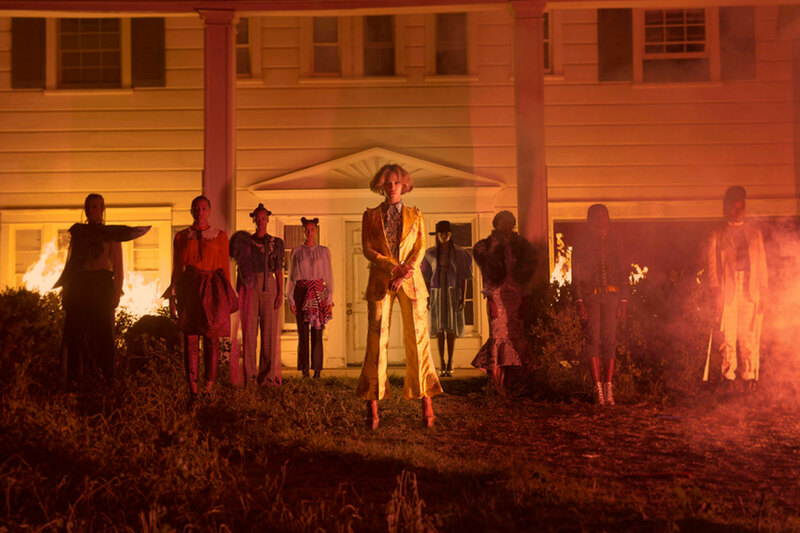 Four months after the surprise release of her visual album Lemonade, Beyoncé has given her loyal Beyhive (that includes us) an intimate glimpse at some of her backstage antics. A flurry of behind-the-scenes pictures and GIFs appeared on her website, and we can’t.stop.scrolling. Our favourite of all the photos is one of her joyfully frolicking about, brandishing a sign that reads ‘Boycott Beyoncé’. 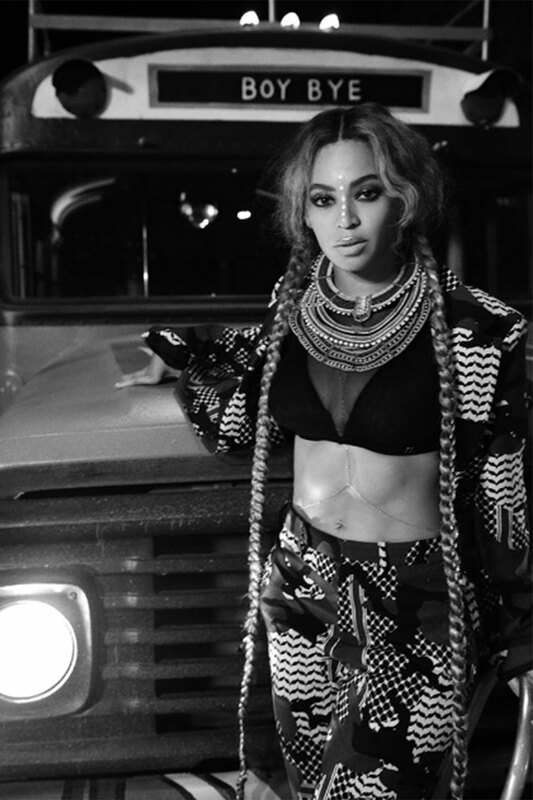 Shot on the setup of ‘Hold Up’, Bey is clad in a rather eclectic ensemble. She’s styled out her show-stopping Roberto Cavalli layered mustard dress with a a pair of black UGG boots and a fuzzy fuchsia and white matador jacket. Only Queen B could pull this one off. Each chapter of the VMA-nominated album plays in an addictive sartorial feast for the eyes. Designer brand references are to hip-hop and R&B what the anorak was to Britpop, and Slayoncé has amassed an essential, identifiable uniform of directional and feminine high fashion ensembles. ‘I’m so reckless when I rock my Givenchy dress’ she, quite rightly, bellows in Formation. She also kills it in Gucci, Saint Laurent and emerging labels such as Rosie Assoulin and Neil Barrett. Scroll on to see some more of our favourite Lemonade looks in all their glory…. Bey dances by a broken fire hydrant in a Roberto Cavalli dress, towering Saint Laurent platforms and Jacquie Aiche jewellery. 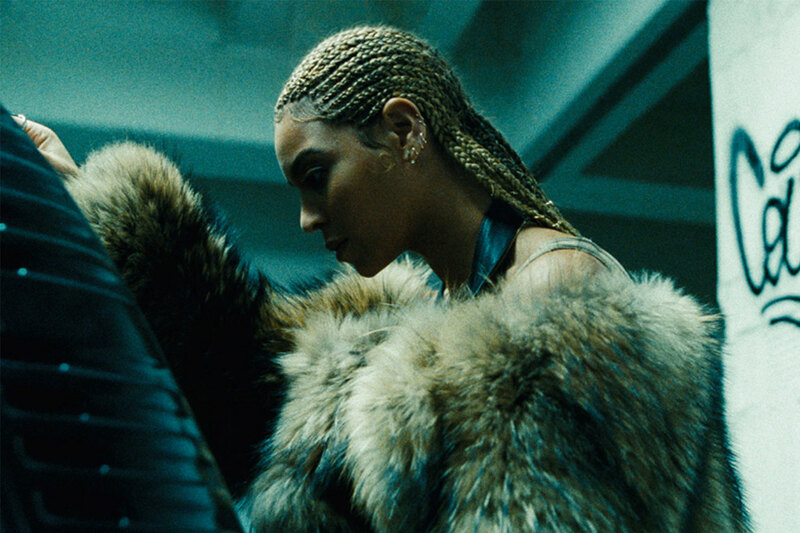 Bey gives fur a streetwear slant in this Hood by Air number. This is how to wear the Gucci trouser suit: a quirky faux-bob is non-negotiable. Chillin’ with her squad in a flamboyant Rosie Assoulin top with fluted sleeves. Facepaint, check. Body-chain, check. Bey shows us how to do festival-chic in this Neil Barrett printed jacket and trouser combo. A special mention goes to model Winnie Harlow for this pretty Self Portrait number, which she styled out with quirky mannish shoes. This week, Beyoncé also released a zesty capsule collection of Lemonade tour merch. The new items include hats, hoodies, bodysuits, phone cases, and more, many of which are adorned with lemons and quotes from “Sorry” and Hold Up. 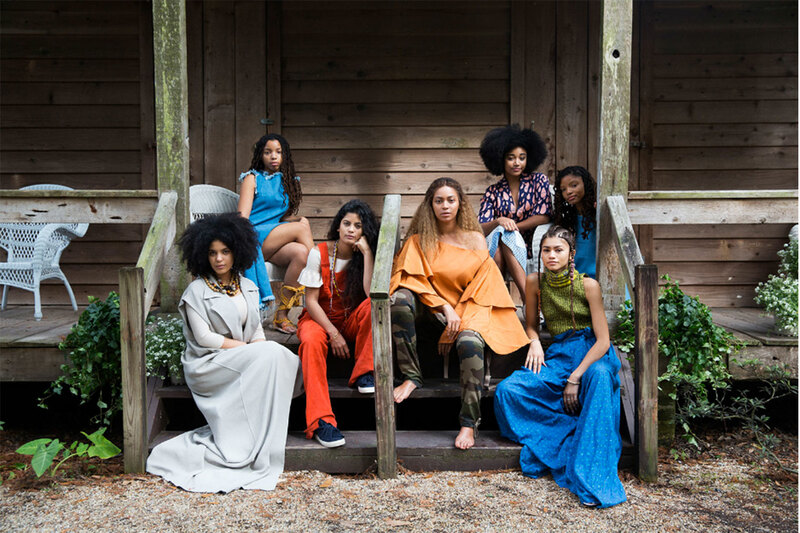 So that you can pledge your allegiance to Queen B up front.